Who has at least one thumb and and a beard? Spose! PORTLAND (Maine) – The First Annual Portland Facial Hair Fest will roll out the red carpet to several Maine-famous individuals participating in the city’s annual late-March facial hair party as judges, filmmakers, competitors or stage performers. Wildly popular animated filmmakers O’Chang Studios headline the 3rd Annual International Moustache Film Festival on Friday night; while Spose, Spencer Albee and Sarah Bigney, winner of Bangor’s NYE 2014 Ms. Paul Bunyan are among the celebrity judges in the 7th annual Stache Pag moustache pageant. Also, Maine music advocate and radio DJ Mark Curdo, and two-time World Beard and Moustache Championship competitor Justin Kelcourse will judge the CanAm Beard and Moustache Competition, Saturday at 3pm. 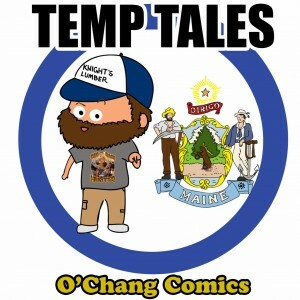 Greenbud Kelly of Fantasyhaven stars in Temp Tales by O’Chang Studios. 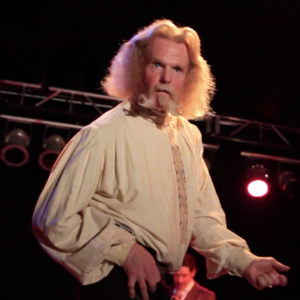 The International Moustache Film Festival will be held Friday March 28 at the Portland Museum of Art, and will feature three main screenings: at 5pm, a Dark Moustache Film block; at 6:30pm, a Comedy Moustache Film block and at 8pm a Maine Moustache Film Block, with panel discussion, to include both members of O’Chang Studios. Hanji O’Chang, animator, and Atom O’Chang, writer, who have been drifting between Lincolnville and Portland looking for steady work, are the creators of “Temp Tales” – a reflective series of comedy shorts based on life in rural Maine. “Stahmageddon” and “Smoke Show” – featuring the adventures of Greenbud Kelly – will screen Fri evening March 28 at the Portland Museum of Art. 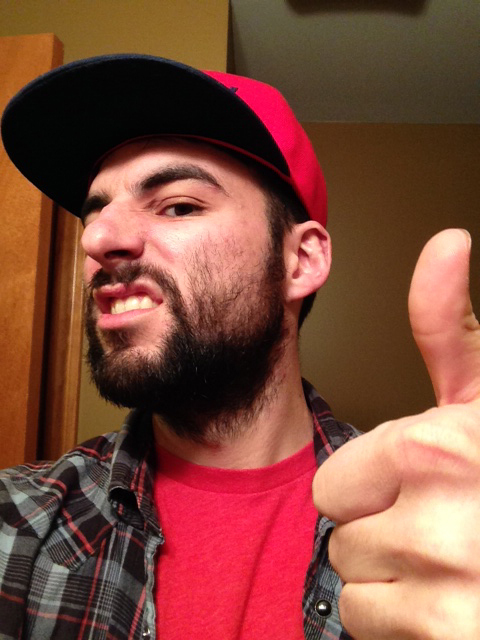 “Facial hair and rural Maine go together like Oakhurst and Allen’s or 44 boggahz on a mudder,” said Atom O’Chang. The IMFF will also feature films from Germany, Iran and South Portland. Two-time Stache Pag winner Dr. Drum, a mysterious doctor who has amassed a world class collection of drums, is on the Program Committee and will emcee the variety portion of the evening. Spirited veteran Bean Sprouts will serve as host of the competitive part of the show, which is slated to go from 8:30 to 10:30. The Stache Pag judges are Michael Leonard, from Down East Magazine, Molly McGill of Dispatch Magazine, Albee, Spose and Bigney. “I don’t think your average citizen can fathom the kind of frenetic energy that a room full of men with moustaches can produce,” said Leonard, a veteran of the media and entertainment industries. One high point of his work in the music biz was once sharing a waste basket (as a urinal) with Steven Tyler. “Shaving is for flatlanders,” Bigney added. Spose is a Wells-based producer and emcee whose recent music video King of Maine was filmed in all 16 counties in the state. Albee is a Portland musician and producer, who released the full-length Spencer to critical acclaim last summer, and also produces the “Beatles Night” and “Clash of the Titans” Portland live music experiences. McGill, now at Dispatch, a Maine/NH lifestyle magazine, is a former co-director of the Lewiston-Auburn Film Festival and is former editor of Lewiston/Auburn Magazine. The Stache Pag is March 29 at Ocean Gateway, doors will open at 7pm and with a variety show will begin promptly, with musical performances, a magician, dancers, community awards, and more. The facial hair part of the pageantry is due to begin at 8:30. For those unable to make it to the event, Zack Parr, an intern from No Umbrella Media, the production company behind Portland Facial Hair Fest, is spear-heading a crowd-funding campaign to stream a live television production of the event to youTube. 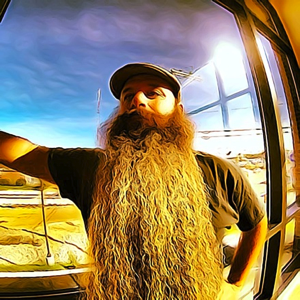 Justin Kelcourse, a two-time World Beard and Moustache Competitor, will judge the CanAm Beard and Moustache Competition. The CanAm Beard and Moustache Championships are held March 29, 2014 at Ocean Gateway. Registration is from noon to 3pm with judging to occur from 3 to 4pm. 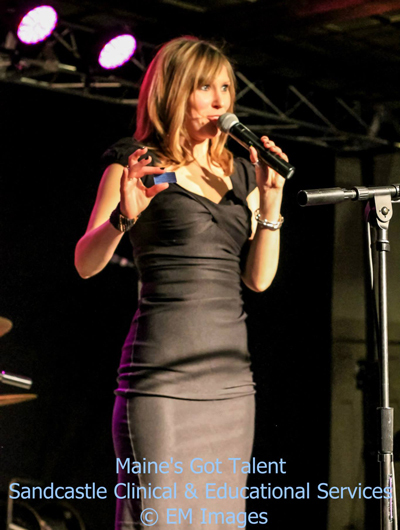 The winners will be announced onstage at the Stache Pag later in the evening. Trask, the president of the Maine Facial Hair Club, is also a master furniture craftsmen who specializes in re-purposing old wood into new pieces. He splits his time between Augusta and Portland. Curdo is a Portland radio DJ who started at WCYY at February 2005 and currently hosts the WCYY Morning Show Show as well as WCYY’s new music / local music show, “Spinout.” He owns two 8-track players, stopped wearing white socks in 1998 and was given the key to City of Portland, Maine (seriously). Also, December 3rd 2012 was officially named “Mark Curdo Day” in state of Maine (seriously). Chris Roberts owns High and Tight, a men’s hair care establishment in the tradition of barbering. He Specializes in Business Cuts, Traditional Cuts, Fades, Long hair design and Facial Hair, regularly attending out-of-state seminars to stay on top of current fashions and techniques. High and Tight is located in the lobby of the Time and Temp building in downtown Portland. The fifth CanAm judge place is reserved for the winner of the Portland Firefighter’s Children’s Burn Foundation “Sponsor-A-Stache” fundraiser. The firefighter whose pictures gets the most “likes” will be the judge. Tickets are available at facialhairfest.com/tickets. Facial Hair Fest picked up by MaineToday!